Slice the bread in half lengthwise and toast it on one side, like a bagel. Pan fry the sliced ham. Spread mayo on both sides of the toasted bread. 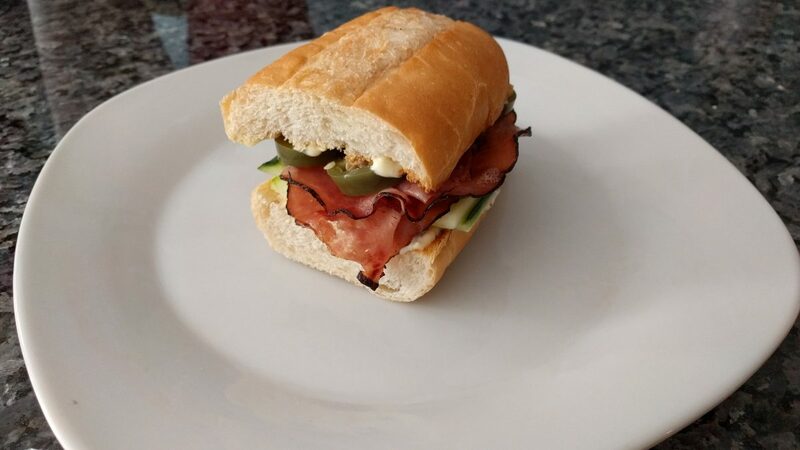 Layer, from the bottom up, cucumber slices, ham, and pickled jalapeno slices.